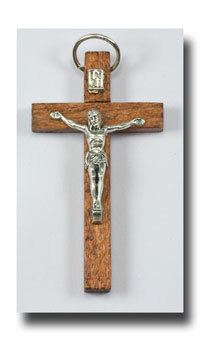 We have used this Crucifix for the Habit Rosaries we have made. 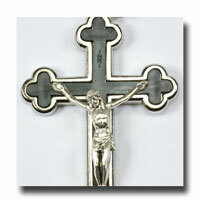 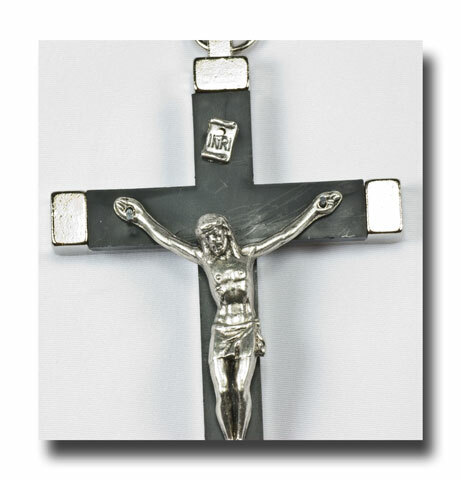 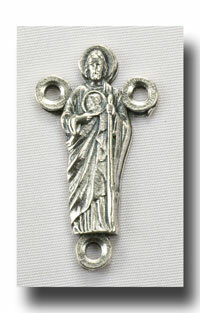 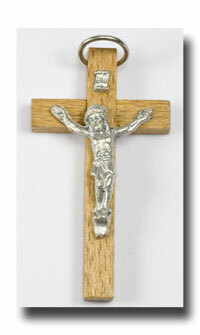 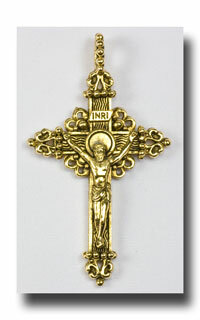 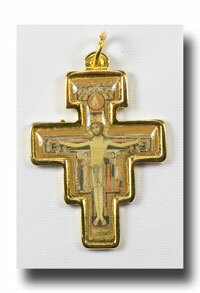 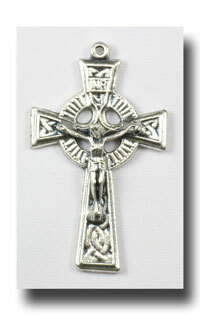 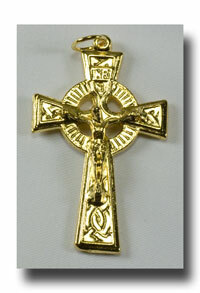 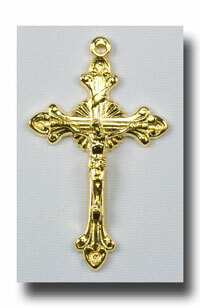 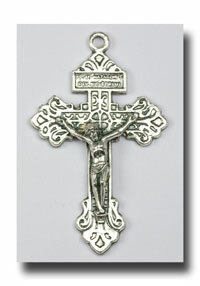 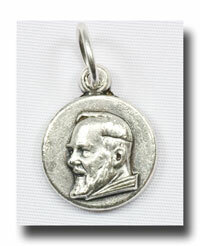 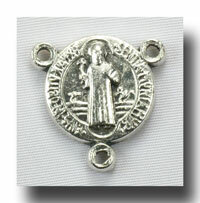 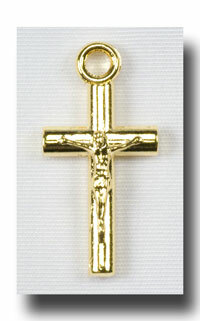 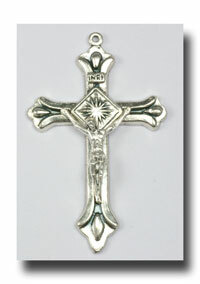 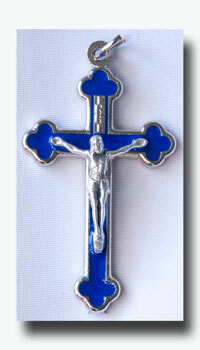 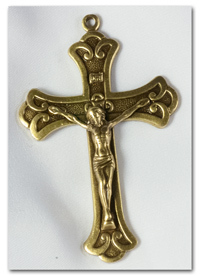 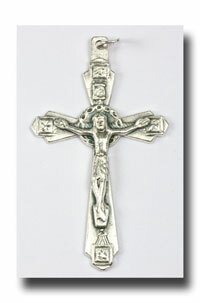 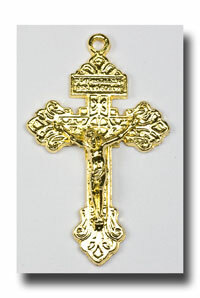 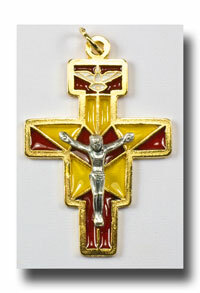 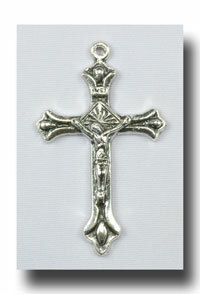 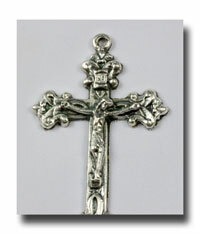 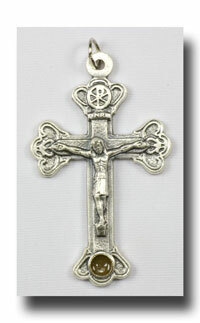 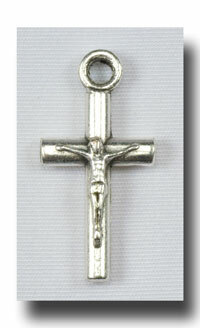 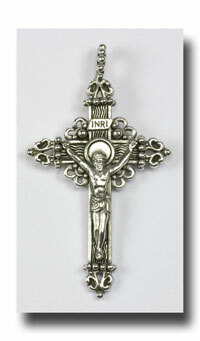 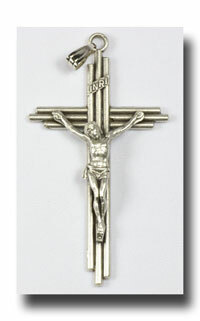 It is a good wearing Crucifix because of the solid metal backing and frame. 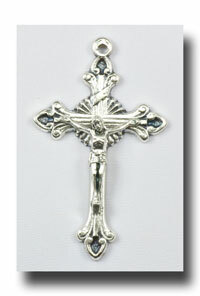 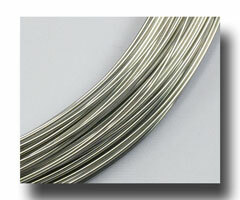 At 3 3/4 inches (9.5 cm) by 2 inches (5.2 cm) the all metal frame with a black core is versatile and good looking. 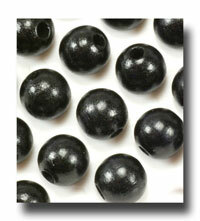 The inlay is claimed to be ebony, but most likely it is a plastic. 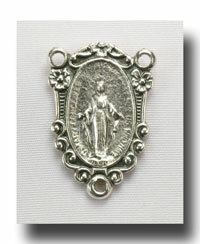 The Corpus is beautiful and the pictures just can't get close enough to show all the beauty in it. 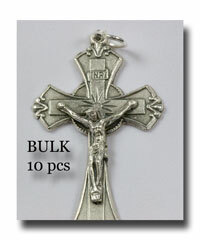 Being a larger Corpus, there was room to make Our Lord so much more attractive than on the small rosary Crucifixes. 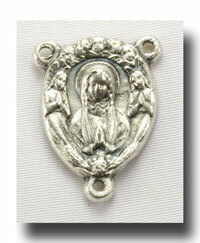 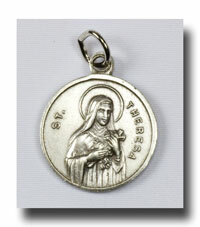 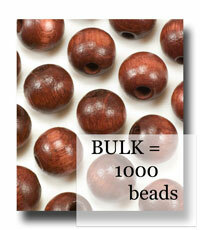 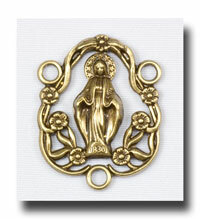 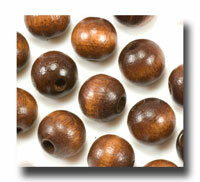 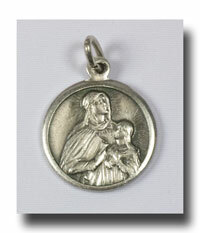 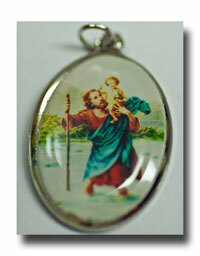 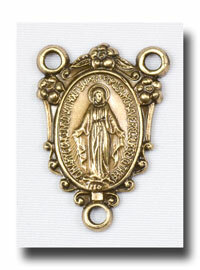 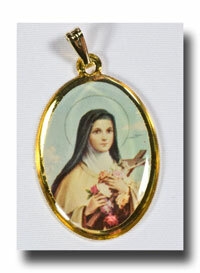 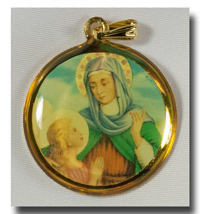 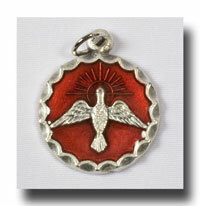 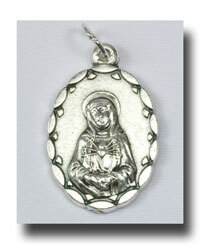 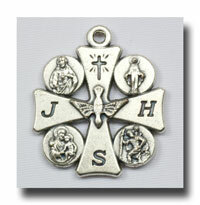 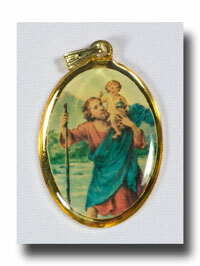 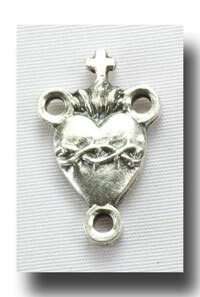 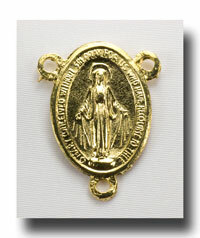 It will also look wonderful on a large wall rosary or simply hung up in a room to bring comfort. 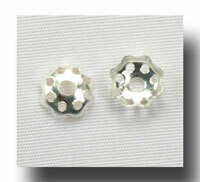 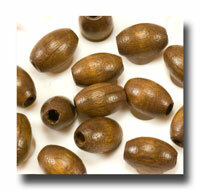 Don't forget to scroll down on this page to see the additional close-up pictures of this product.